I got Caplin Rous when he was just 11 days old. Never has an animal–or a person–changed my life so completely. I learned a tremendous amount from him and I loved him with all my heart. When he died suddenly at 3.5 years old from liver failure, I was devastated. 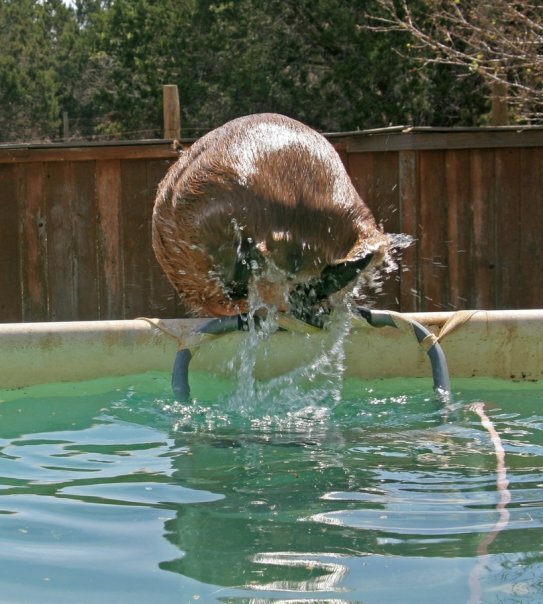 With the help of Caplin’s online friends and fans and other capybara owners around the country, I started the ROUS Foundation for Capybara Veterinary Medicine. 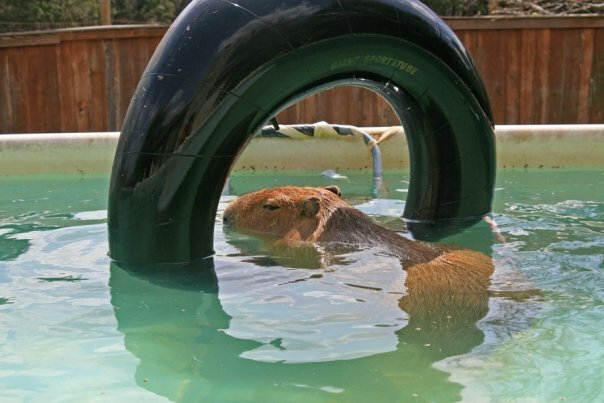 The goal of the Foundation is to extend and enhance the lives of captive capybaras through better understanding of their health needs. 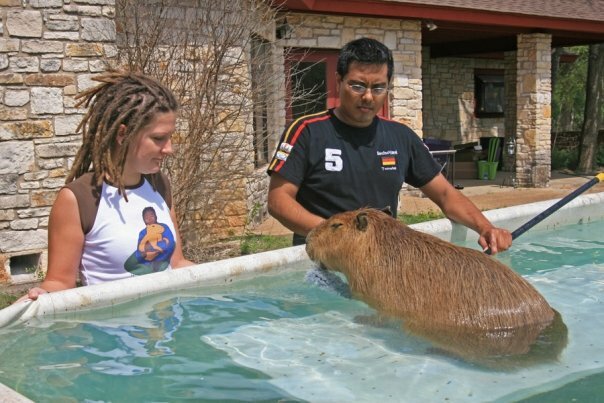 Not long after Caplin died, I was offered the chance to adopt an 11-month-old capybara from a home that could no longer care for him. That was how I came to know and love Garibaldi Rous. Garibaldi is not as self-confident and outgoing nor as dignified as Caplin was. 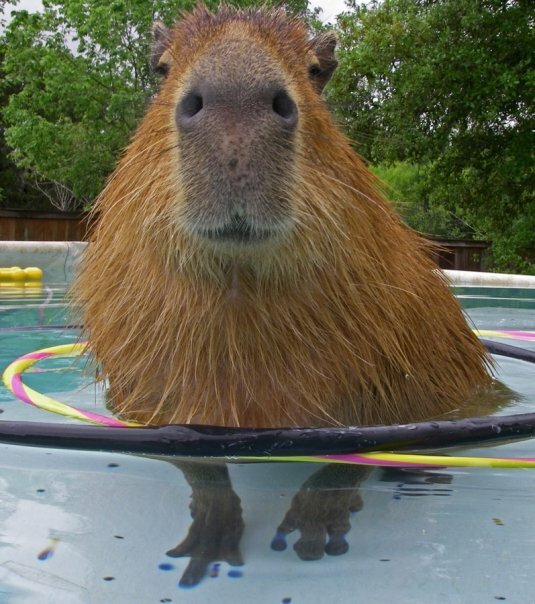 He is his own capybara and a bit of a clown. I keep this blog to help people get to know and understand these wonderful animals. To know them is to love them but, sadly, to not know them is to not care about them. 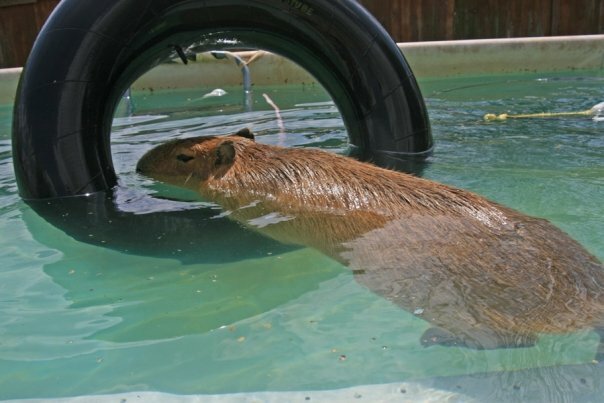 Rodents make up about 1/4 of all mammal species but despite capybaras being the largest of that vast group, almost no one in most of the world knows about them. They are also poorly studied in the wild. 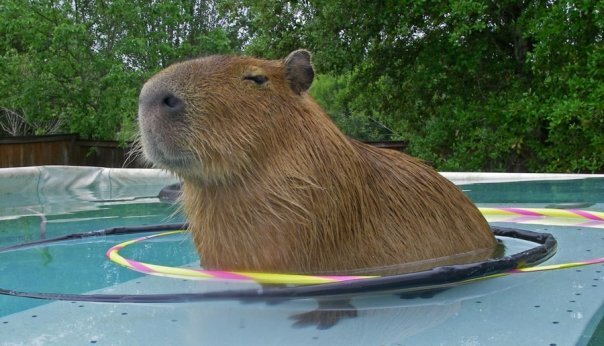 If you are contemplating a pet capybara, please read this blog closely, especially the FACute. 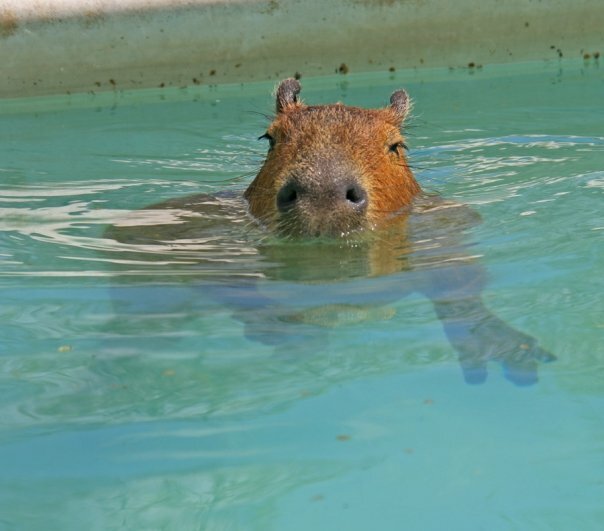 Capybaras are not the right pets for most people, or even for very many people. They require a tremendous amount of time and attention, they can be aggressive, their teeth are extremely sharp, they need a pool for swimming and fresh, non-toxic grass for grazing, their food is expensive as are any veterinary expenses, although the ROUS Foundation can help with some of the latter. 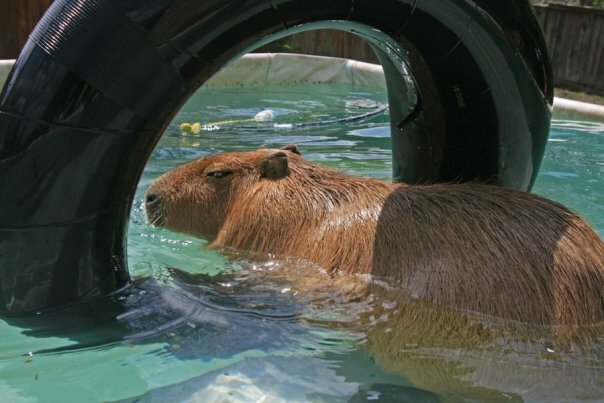 If you’re interesting in capybara-themed merchandise, please visit my store. One dollar from the sale of each item goes to the ROUS Foundation.